Places to see in Sonajhuri: The main attraction here is the Sonajhuri jungle that offers a serene atmosphere and is the perfect place to take a leisure walk. 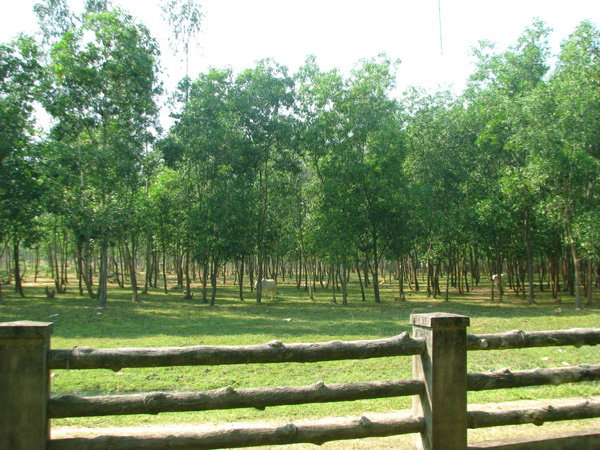 This is probably the cleanest forest area on earth. You can even let your kids stroll around safely. The Khowai region – canyons created by wind and water is worth experiencing here. The hanging trees and the view of the roots at the edges of these rifts within the forest area will make you fall in love with the region. 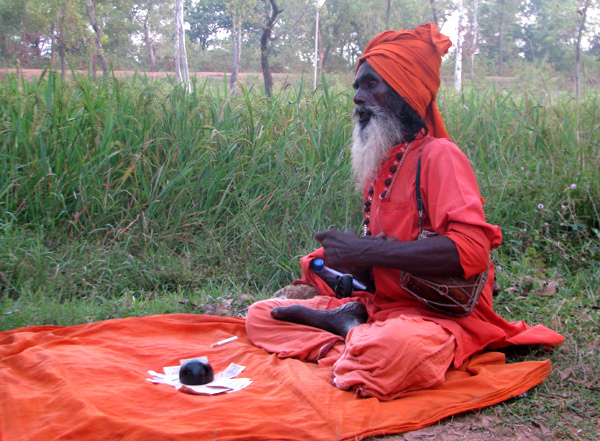 The slow flowing Kopai River (Rabindranath Tagore’s Amader Choto Nadi) and the Baul singers along the banks are special attractions. The Banerpukur tribal village inside the forest area shouldn’t be missed as it gives a chance of close encounter with the local tribes living there. Nearby attractions of Sonajhuri: Shantiniketan – Rabindranath Tagore’s “Abode of Peace” is just a kilometer from here where you can indulge in a whole lot of sightseeing options. 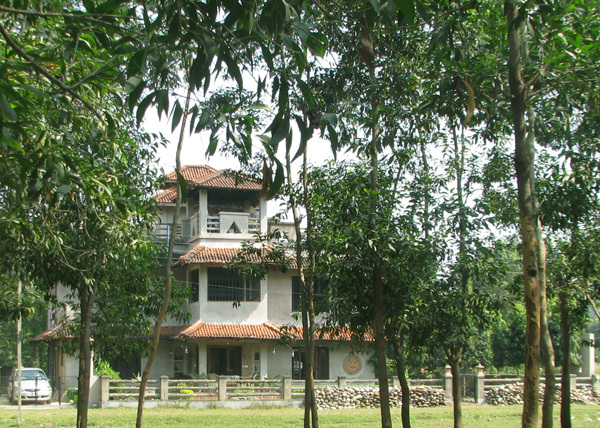 Some of the places you shouldn’t miss out during your trip are the University campus of Vishwa Bharati, Kala Bhawan, Uttarayan, Geetanjali Theatre, Chatimtala, Shantiniketan House, Bichitra Bhawan or Rabindra Museum and others. There is also the Ballavpur Abhayaranya or the Deer Park set on a total area of 700 acres with a variety of trees, animals and birds. You will also find a watch tower here to view the surrounding landscape from top of it. Located some 3 kms from Shantiniketan is the Vishwa Bharti’s Rural Art Centre, which is a great place to collect some local artifacts. You can also visit Sriniketan if you want to buy handicrafts. There is also a brick kiln of 7 lakh bricks nearby. The 14th century Surtheshwar Temple is only 8 kms from here on the way to Illambazar whereas Nannoor – the birthplace of the famous poet Chandidas is just 23 kms away. 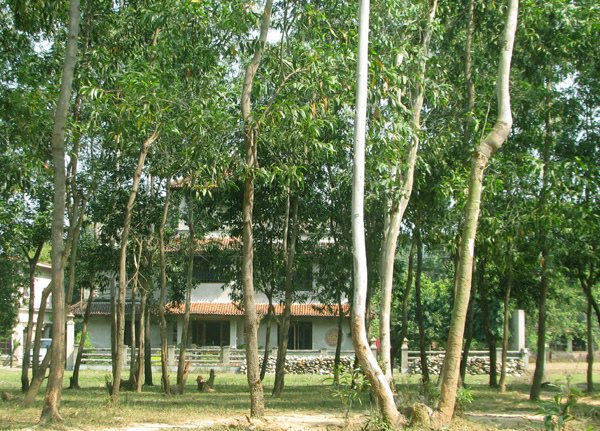 You can also visit Dangali Kali Temple nearby. Another popular destination – Kankalitala Temple, which is one of the 51 Shakti Peeths of Sati is around 9 kms from Sonajhuri. You can also visit the famous Gar Jungle from here located 30 kms via Illambazar. Other popular nearby destinations include Kenduli, Bakreshwar, Maithon, Tarapith and Durgapur Barrage. Things to do at Sonajhuri: Take a leisure morning stroll through the Sonajhuri jungle to enjoy the beauty of the surrounding. The jungle is clear and devoid of wild animals so you can also take your kids with you. 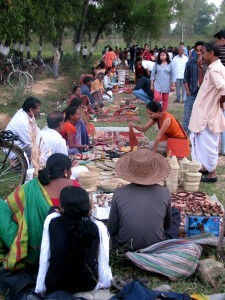 A trip to Sonajhuri Haat that takes place on every Saturday can help you grab some great deals on local art and craft. Plus, a chance to indulge in some local delicacies can definitely make your day. A nature walk along the banks of River Kopai and the Kowai region is something you need to do for shrugging off your stress. However, the best stress buster could be the Baul singers, who often sing to the tune of nature along the banks of River Kopai. 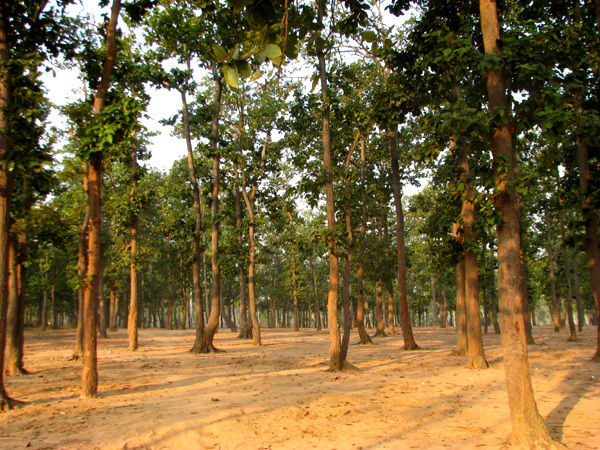 A village walk around the Banerpukur Adivasi Gram inside the Sonajhuri Forest is something you would cherish. 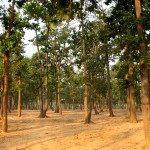 How to reach Sonajhuri: Sonajhuri is very well connected by road and is some 165 km from Kolkata and 40 km from Siuri in Birbhum. You can easily hire a private car or avail buses that ply on this route. You can also reach Sonajhuri via train services. The nearest railway stations from this village are Bolpur and Prantik. You can take Auto Rickshaws as well as manual rickshaws to reach Sonajhuri from the station. 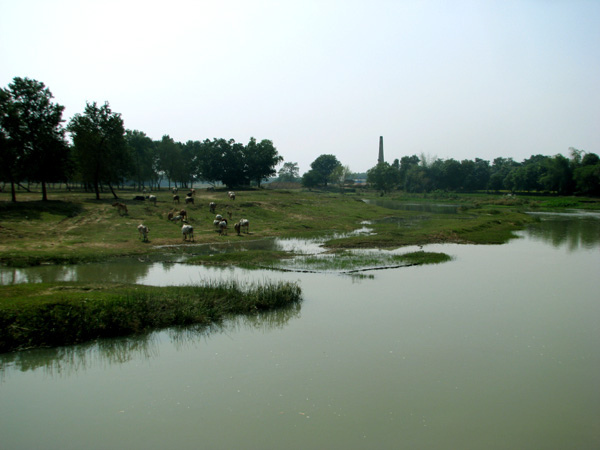 If you are travelling by car from Kolkata, the best way to reach Sonajhuri is to take the Durgapur Expressway and reach Nawabhaat, just after crossing the Bardhaman Bypass. Take the road towards Ghuskara keeping the 108 Shiv Mandir to your right to reach Sonajhuri via Bolpur Railway Station. 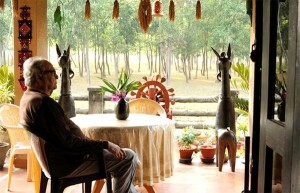 Best time to visit Sonajhuri: You can visit Sonajhuri during any time of the year. But if you want to attend the Basanta Utsav and Poush Mela at Shantineketan, then you must visit Sonajhuri during the months of March and December respectively. 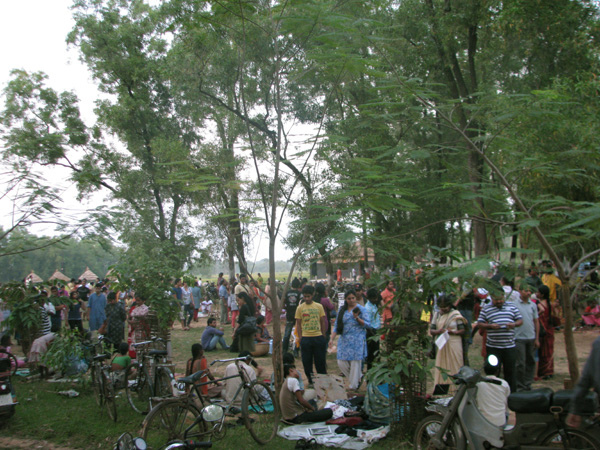 Poush Mela is from 7th Poush to 10th Poush (according to Bengali Calendar) and Basanta Utsav is held on the day of Holi. However, please remember that the Sonajhuri Haat is open only on Saturdays from 3:30 pm to 6:30 pm. Also, take note that Vishwa Bharati stays half-closed on Tuesdays and full closed on Wednesdays. 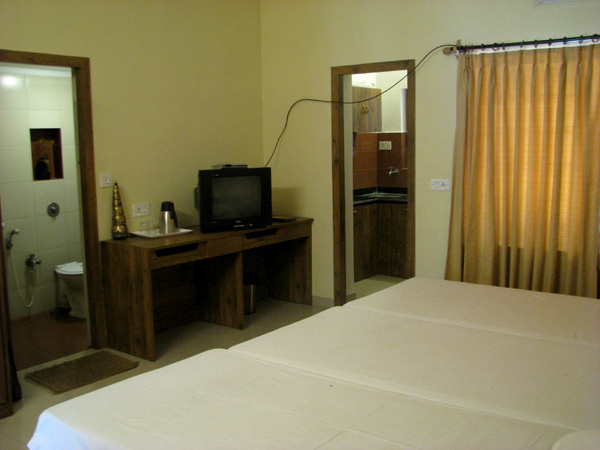 Lodging and dining facilities in Sonajhuri: Our accommodation adjacent to the Sonajhuri Forest is the best option for all those who want to stay away from the tourist rush of Shantiniketan and enjoy nature. 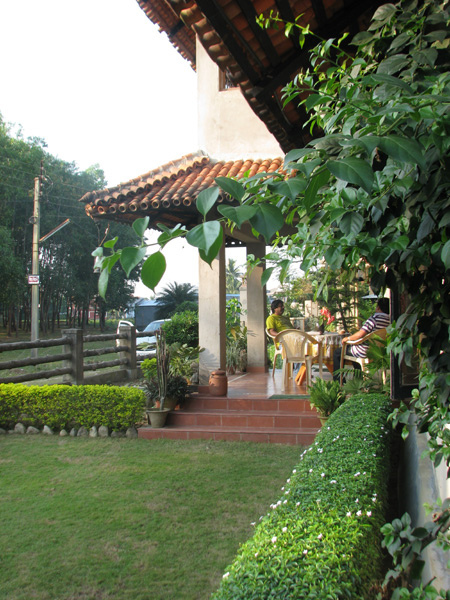 Our home stay is the famous Belaseshe Bari. 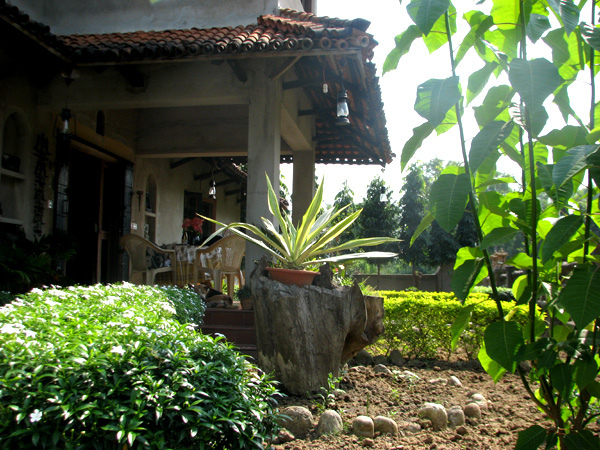 Just few yards from the forest is our luxurious Sonajhuri Homestay from where you can easily take a leisurely walk through the forest to reach the Khoai region and Banerpukur Adivasi village. 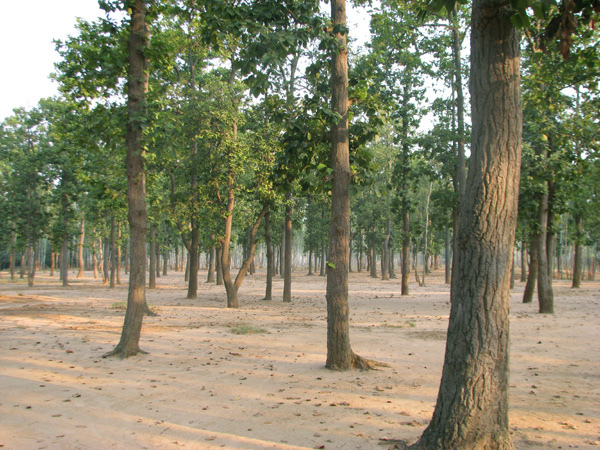 Kopai River is also nearby and so is the Ballavpur Forest. 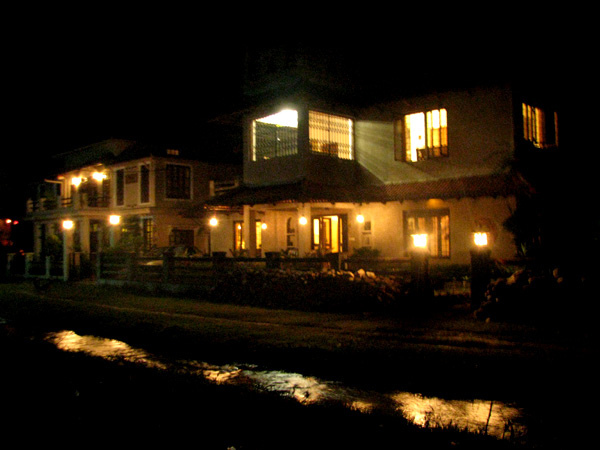 Sonajhuri Home stay is a luxurious apartment with attached western bathrooms, pantries, hot water geysers, Air Conditioning, 24 hrs Electricity, Television, spacious beds, well-lit rooms, private entrance, sprawling wardrobes, water filter, driver’s quarter and a host of other facilities to make your life comfortable. 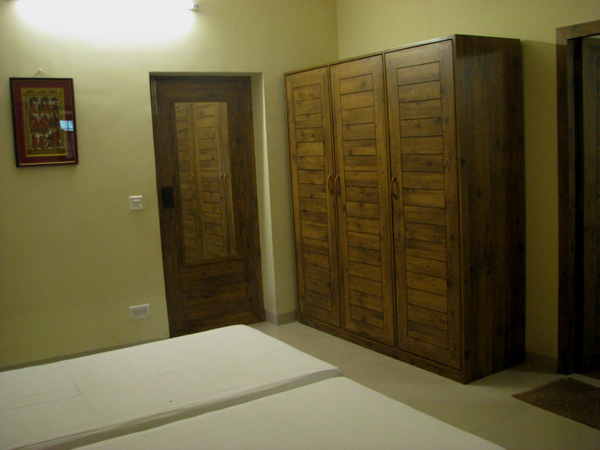 There are Double Bedrooms and Triple Bedrooms in Sonajhuri Home stay. Food is served on fixed menu basis at affordable cost here. 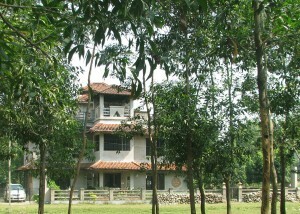 I would like to stay there for an week end, please let me know the details information for booking this place. Pl. 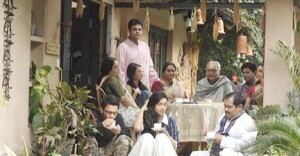 furnish a road map(by car) from Dunlop to Sonajhuri & the room tariff for Sonajhuri Homestay.